The signs are everywhere: in the smell of hot dust flying out of your hibernating car heater, the leaves stuck in your windshield wipers, the sight of your breath floating up in front of you as you walk into the office. In case you haven't noticed, it's fall. For many, fall marks the end of summer adventures, the time to don sweaters and pack the tents and sleeping bags away until next summer rolls around. We're here to tell you the idea that the end of summer marks the end of camping season is a myth. 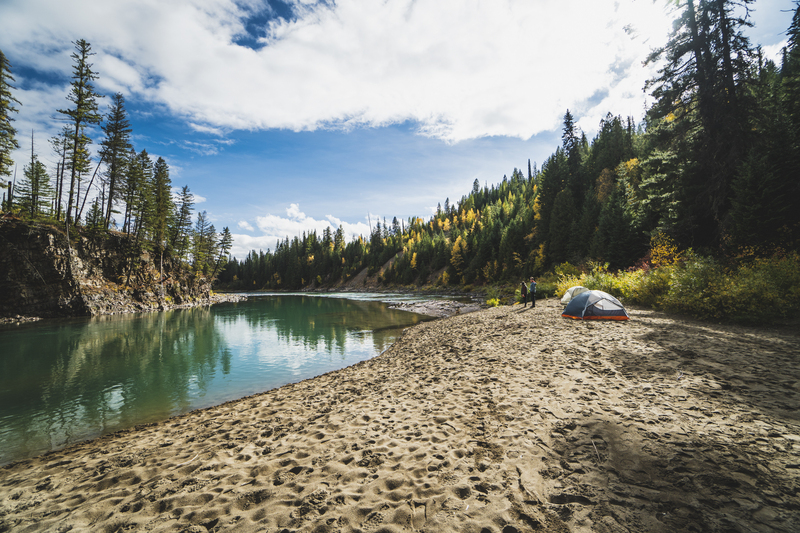 Fall camping is actually much more pleasant than summer camping - here's why. Shoulder season is the best season: fall means the kids are back in school, tourism to busy areas slows, and prices drop significantly on accommodations and trips. Time to take advantage of the diminishing crowds. Snag that campsite that's always booked up, hit the trail that's more of a highway in bustling summer, book that yurt trip when the prices drop. Save your money and your sanity by getting out when the temperatures cool - you might just enjoy a prime summer location all by yourself. Speaking of serenity, camping in cool weather means all those pests are gone - the bugs that is. One of the worst parts of summer camping is eliminated if you take your trip in the fall. No mosquito bites, bee stings, or hovering gnats will crash your fall excursion. Sleep tentless under the stars or enjoy a sweet treat without a swarm of insects chasing you down. Hear that? It's the sound of nothing buzzing in your ear. Isn't it nice? One of the most essential pieces of a camping trip is the campfire - but in many areas campfires are banned during the heat of the summer. Once fall hits, though, those regulations are usually lifted, so you can huddle with your camp buddies and actually enjoy the heat. Check your local fire regulations and restrictions before heading out, then roast your marshmallows and warm your toes with pride knowing you're not breaking the rules and putting a forest in danger. Sleeping in a tent in summer can often be a sweat fest. In the fall, however, you can actually zip up your sleeping bag instead of hanging your feet out of the zipper all night. Grab a beanie, keep your leggings on, and cozy up in the down - you'll sleep without waking up feeling like you're sleeping on top of a campfire. There's nothing like being woken up by the dawn - but it's not quite as pleasant when dawn is at 5:30am. Shorter fall days mean no ungodly wake up hours - a later dawn keeps you sleeping soundly for a little bit longer. When the days heat up fast, even your hot cup of morning coffee can feel too hot. Enter a cool fall morning: you brew up your water in a kettle, pour the steaming water over your grounds, and watch it drip into your mug. Wrap your chilly fingers around the sides and let the first sip wake you up and heat you up. Sure, you have to bring a few more layers and might wake up to a sprinkle of snow on your rain fly. But the benefits of a fall camping trip certainly outweigh the risks - so hurry up and get out among the leaves.